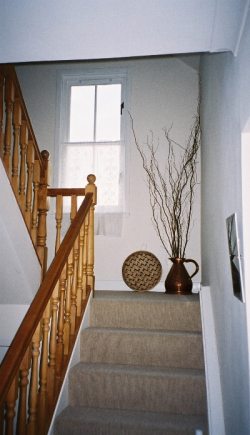 Our 3 bedroom cottage is equipped to the very highest of standards. 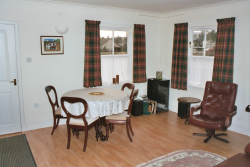 It enjoys uninterrupted views over the Earn valley and is no more than a short walk from the centre of Comrie. Comfortable lounge with 2 sofas and a colour TV, Freeview, video, DVD player and mini hi-fi. 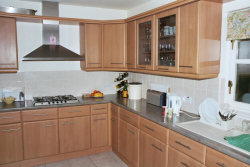 Kitchen with microwave, dishwasher, fridge, freezer, electric hob and oven, washer/dryer, coffee maker, iron and ironing board. 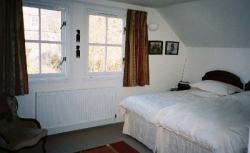 We provide all bed linen, duvets, towels and tea-towels and the beds will be made up ready for your arrival. Electricity is included and we provide a welcome pack of essential supplies such as tea, coffee, milk, sugar, dishwasher tablets, refuse sacks and a bottle of wine.